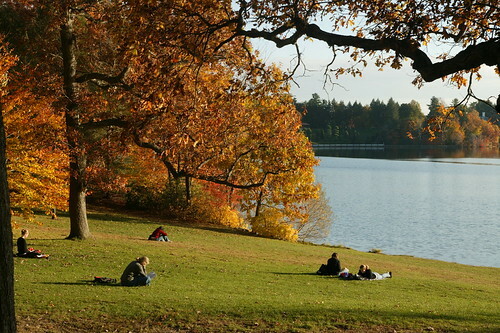 One of the most tranquil spots on the Wellesley campus, Lake Waban offers limitless opportunities for recreation, sports, or simple contemplation. Students can always be found training for intramural crew regattas, floating around the lake in a college canoe, and studying (or sleeping) on Green Beach. Each fall all of the Wellesley residence halls compete in crew races on Lake Waban to see which is the fastest.